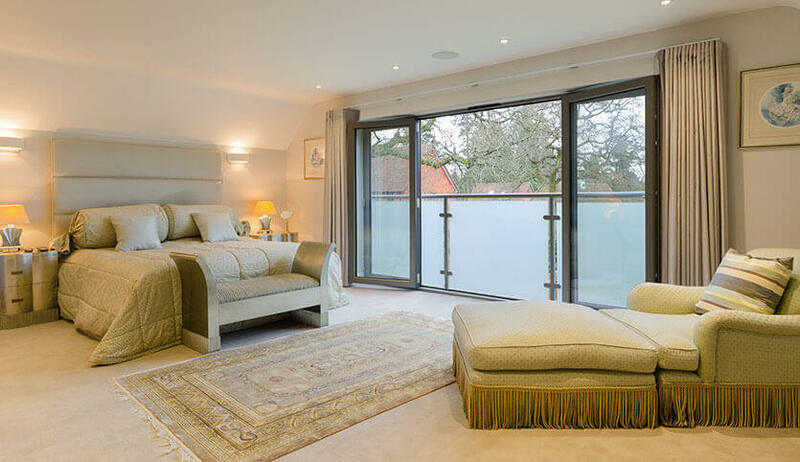 Aluminium doors make an impressive addition to any home. With an ultramodern appearance, they can boost your home’s aesthetic appeal as well as its security and efficiency. Aluminium is naturally insulating and extremely strong which makes it perfect for any residential door. 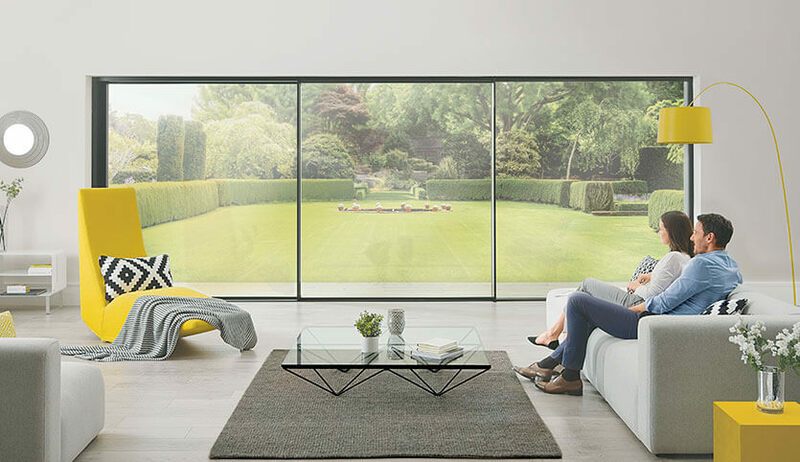 From front and back doors to bi-folds and patio doors, they will keep your home safe and warm. Why should I choose aluminium doors? Aluminium is an exceptionally strong material which makes it perfect as a door. It will keep your home secure and safe against intrusion and bad weather. 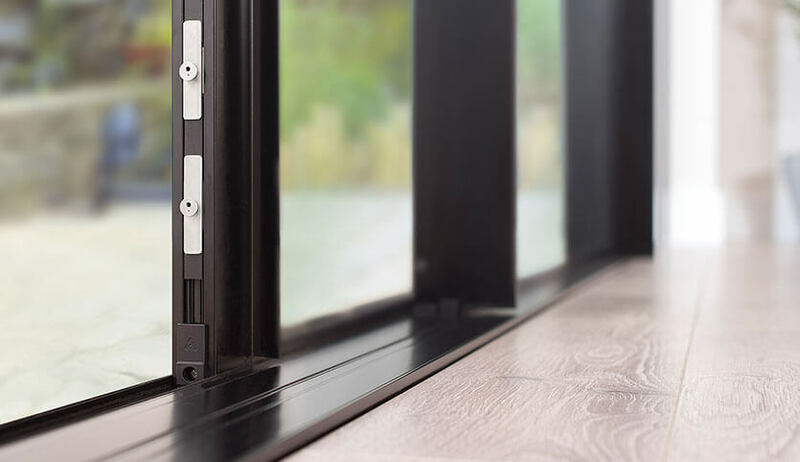 This means it can handle larger panes of glass making it ideal for bi-fold doors. However, it’s also naturally light so isn’t an effort to use. Resilient to corrosion, aluminium doors require very little maintenance and will stay looking good for many years to come. Their durability makes them perfect for homes in harsher environments such as coastal areas. With a polyamide break, heat transfer is reduced so that your home is always the optimum temperature. Reduce draughts and keep the cold out with new aluminium doors. Highly recyclable as a material, aluminium helps to lower your home’s environmental impact and with efficient thermal insulation, your heating bills will be lower too. With durable powder coating to give an impressive finish, you can choose from over 150 RAL colours. You can even choose wood grain effects to let your aluminium doors have a more classic feel. There are two threshold options for you to choose from; weathered to keep you protected against the elements and non-weathered for easy access, suitable for wheelchair users and those with mobility issues. The strong and ultramodern choice that creates a door to impress. Aluminium French doors online quotes & more. 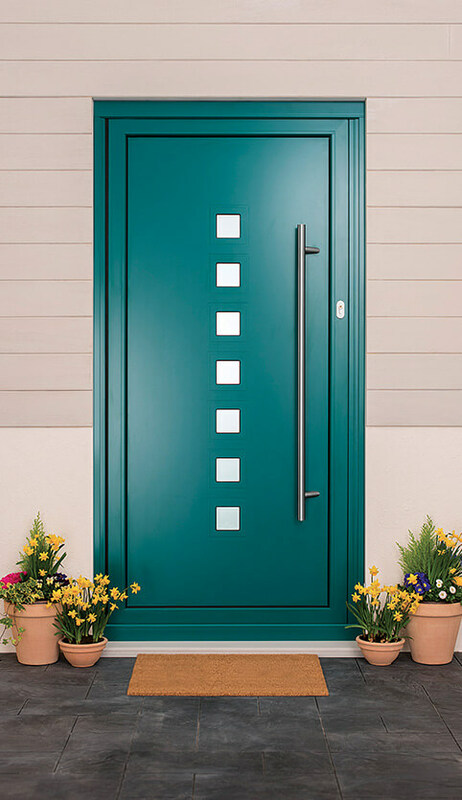 Our doors come in a wide variety of colours to make your home the envy of your street. We can create any colour you desire with our ‘Kolor bond’ system to ensure your new door fits perfectly with your home.